Deal – Get upto 10% Discount at Escape Water and Adventure Park, Shamshabad Hyderabad on day outing Entry Ticket. 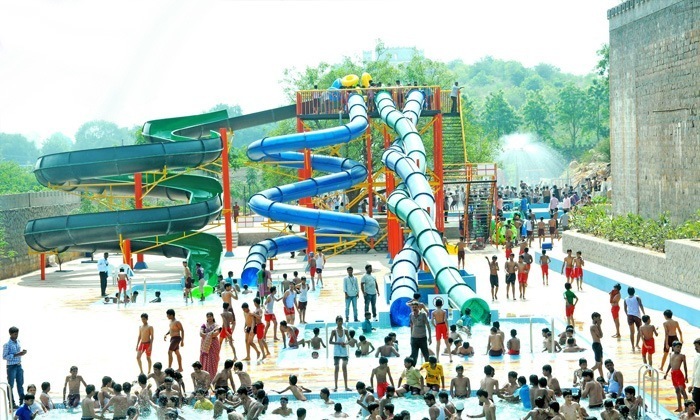 If you want to buy Escape Water and Adventure Park, Shamshabad Hyderabad Voucher of more than Rs.10000 value, then request you to use coupon code – BULK, this will give you 10% instant discount (minimum Rs.1000) with no maximum discount limit while cashback is limited to Rs.200 only. Every child and teacher should show the school ID Card. Escape the heat and boredom with Escape Water and Amusement Park! Located next to Fort Grand in Shamshabad, Escape is a fun filled amusement centre that provides entertainment facilities for one and all. 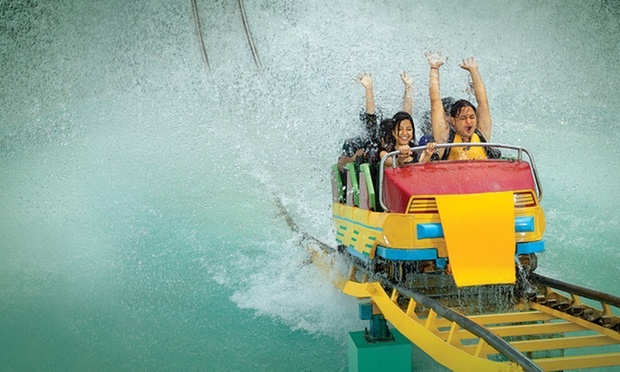 Thrill at the adventure zone and splash with the water rides, or do both to make your day all the more exciting! You also have convenience of in-house costumes shop, food courts, lockers, baggage counters and first aid. Escape is a well maintained and most importantly safe amusement park where all the fun and adventure happens under expert guidance and surveillance. Whether you’re on a vacation or you want a picnic, whether you’re looking for a place to have fun with friends, family or even with colleagues, Escape Water and Amusement Park is just the right place to pick! Can u please let us the cost including food. And please be clear whether all the water rides are included in the entry fee or we shud pay for it seperately. I think Mobikwik 10% offer is not working. I tried many time from my the web. Please assist me. Actually I wanted purchase only 5 tickets. is this offer (3200) valid only for school students?? Above deal is valid for all. Currently this is deal is not working.. we will let you know once it start working..
Hi.. I want to visit this waterpark with my family on 4th march 2017.. I was looking for a discount because we are 8+ members.. please let me know how can I avail the discount and how should I book the tickets online… Waiting for ur reply… U can also mail me at bhavana.gupta247@yahoo.in ….. Thank you!!! Currently deal is working on Littleapp, you can buy there from above littleapp link. If you use coupon code listed above then you will get upto 20% cashback on the deal. Hi Rohit, you need to buy voucher through above link, take printout of that voucher and visit park. give your printout to park management/ticket counter and get discount of upto Rs. 1000.